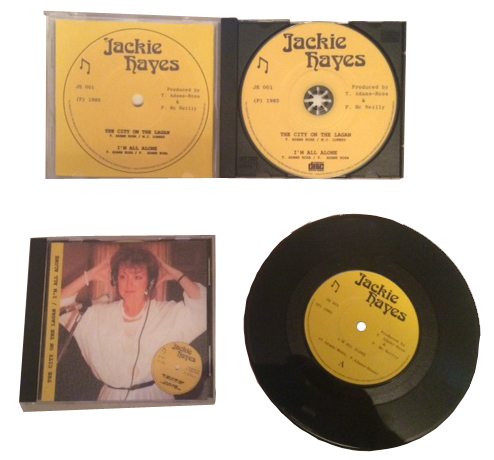 Jackie’s husband, John, was desperate to get his wife’s one and only release from 1985 onto a CD. With the record label giving us the ideal basis for a CD print we “doctored” the label so it listed the tracks instead of the two sides . Scanned to file the label then became the base of the whole design. John provided a picture of Jackie we used as the front cover, bringing the CD/Record label into the design again, and using a banner matched in colour to the record label, created a vertical title bar. Inside we mirrored the new CD with the label from the original 7″ recording. We are happy with the results as are John & Jackie.